However, migration had a key role in the further dissemination of the Beaker complex. We document this phenomenon most clearly in Britain, where the spread of the Beaker complex introduced high levels of steppe-related ancestry and was associated with the replacement of approximately 90% of Britain’s gene pool within a few hundred years, continuing the east-to-west expansion that had brought steppe-related ancestry into central and northern Europe over the previous centuries. During the third millennium bc, two new archaeological pottery styles expanded across Europe and replaced many of the more localized styles that had preceded them . The expansion of the ‘Corded Ware complex’ in north-central and northeastern Europe was associated with people who derived most of their ancestry from populations related to Early Bronze Age Yamnaya pastoralists from the Eurasian steppe [2–4] (henceforth referred to as ‘steppe’). To be honest, I'm not quite sure what they're saying there. Is it that the steppe ancestry in the Beakers comes from Corded Ware people, one way or another, or that it derives from a later, closely related but separate, population wave from the steppe? Or are they leaving the question wide open for now? If they are leaving it open, then I'm not surprised. That's because the only way to solve this mystery is to genotype at least a few hundred Eneolithic and Bronze Age skeletons from the Pontic-Caspian steppe in order to pinpoint the shared steppe homeland, or separate steppe homelands, of the Corded Ware and Beaker peoples. No doubt this will happen eventually, but it might take a few years for us to see the results. In the meantime, we can mess around with the data already available to see what it might reveal in regards to this topic. Of course, I'm well aware that the Y-haplogroup most closely associated with the Corded Ware expansion is R1a, and in particular its R1a-M417 subclade, and that Beaker males with steppe ancestry almost exclusively belong to Y-haplogroup R1b, especially its R1b-P312 subclade. But this means very little for now, because considering the patchy sampling of ancient remains from Eneolithic/Bronze Age Europe, it's still possible that, for instance, these Beakers descend from an as yet unsampled subset of the Corded Ware population rich in R1b. So for now, as we wait for more ancient data, the pertinent question is: are there any genome-wide genetic signals specific to Corded Ware people that are missing in the Beaker people, and vice versa? One possible way to catch something like this might be to focus on differences in hunter-gatherer (HG) ancestry. That's because European hunter-gatherers are known to have had low effective populations and, as a result, a lot population-specific genetic drift. I can try to test this idea using the Global25/nMonte method (see here and here) and the following plausible, at least according to me, reference groups and individuals. It might be worth noting the lack of Narva_Lithuania and almost complete lack of Ukraine_Mesolithic ancestry proportions in these models. If this is not an artifact of the method, and please note that it very well might be, then it perhaps suggests that the steppe ancestors of the Beakers were basically like Samara Yamnaya, and that the northern and eastern Beakers picked up their Narva_Lithuania and/or Ukraine_Mesolithic-related ancestry by mixing with the descendants of the Corded Ware people. Or not? At the very least, am I on the right track? How can I improve this analysis? Feel free to let me know in the comments. Also, I should mention that I had to add a sample from Chalcolithic Anatolia (Anatolia_ChL) to the model for Beaker_Sicily_no_steppe to obtain more plausible ancestry proportions and a better statistical fit. It's intriguing that this type of ancestry is present in this southern Beaker, and missing in all the rest, but we've discussed this issue at length already in an earlier thread (see here). On a related note, Danish linguist Guus Kroonen has a new article with his interpretations of the main findings by Olalde et al., freely available at his Academia.edu page at the link below. It's interesting, I think, that he sees two distinct, and indeed "potentially competing", Indo-European migrations from the steppe, represented by the R1a-rich Corded Ware people and the R1b-P312-rich Beakers. The identification of two different Y-chromosomal haplogroups deriving from the Steppe/Caucasus area is relevant for the prehistoric formation of the European linguistic landscape. What it implies is that Europe may have been confronted with originally separated networks of different, potentially competing, steppe-derived groups. It is through these cultural networks that Indo-European dialects may have diffused, probably existing alongside now extinct, non-Indo-European languages (cf. Iversen & Kroonen 2017). i used to think the "hare" part was family-sized artisanal/trader groups via the med to Iberia and then north from Iberia along the Atlantic coast and the "tortoise" part was large tribal migrations overland. with these results i wonder if the "hare" part came down the rivers from the steppe to the Baltic hence the Yamnaya-Narva mix and then down the Atlantic coast from the north, with the "tortoise" part the same as before, slower large tribal migrations overland mixing with more mixing with the farmers along the way - hence its larger Barcin_N component (with the two resulting populations eventually bumping into each other again somewhere in western Europe). What stands out to me is the elevated Ukraine_Mesolithic in early CW samples on the order of 10+%. Really interesting since we already know the ancestor of CW Y haplogroup clades to have been present in a Ukrain Mesolithic sample. The earliest Bell Beakers have very little of this ancestry and together with their R1b-downstream Y haplogroups, this points to a direct migration from the Volga-Don steppes. Also expect a lot of interaction between the R1a northern and R1b southern groups which is shown by the mixed component ancestry among the later CW and BB samples. Davidski: It's interesting, I think, that he sees two distinct, and indeed "potentially competing", Indo-European migrations from the steppe, represented by the R1a-rich Corded Ware people and the R1b-P312-rich Beakers. Wave 1: R1a rich Corded Ware (early stages best represented by the early Baltic Corded Ware) expands to Europe. This group is much like the steppe EMBA groups, trading some CHG related ancestry for Anatolia_N. They mix with various groups from typical European EEF MNChl groups to much more heavily HG groups around the Baltic (and probably Belarus / NW Russia?). These expanded and admixed R1a Corded Ware groups forms a horizon across Central-NE Europe. Wave 2: R1b rich Steppe_EMBA group expands through Europe, absorbing much of the prior wave and also Middle Neolithic survivor groups. Early stages of this are something like the sporadic Bell Beaker pcokets (that eventually knits together into Bronze Age groups that more substantially cover Europe in full horizons). Where they absorb Wave 1, it's primarily male biased to them, so functionally a lot of replacement of R1a. Later in history though, what we find is that HG rich Wave 1 survivors in the Baltic / NW Russia, probably by the late Bronze Age at least (the time of the Baltic_BA and the late Bronze Age Hungarians), then re-expand across Eastern Europe and sort of fuse to some degree with more EEF heavy groups in the Southeast and Hungary. This is a reversal of fortunes which gets us back to our present day situation in the balance of R1 type and autosomal composition (e.g. the subtle differences in how mixes of the same broad levels of Anatolia:WHG:Steppe_EMBA work out relative to different ancients in high dimension PCA). (The engine for re-expansion might be some cultural or physiological adaptation that helps them with the climate and survival, e.g. maybe some better package of grains and animals. Similarly this might be the kind of time period we see emergence of lactase persistance in the NW?). This is all very off the cuff though I admit and probably well overreaching and likely several things will be wrong with it archaeologically, and possibly in terms of the y-dna expansions. (Also doesn't cover and pre-BA cultural influence between the steppe / corded region and "Old Europe"). I'll try and comment more on the models more substantially later on when time permits. To the best of my knowledge, the lack of steppe in the earlier Beakers is due to them being of the Maritime classification, which is unrelated to the Beakers adjacent to CWC. I believe this is demonstrated in the data, at least with the Sicilian which is of the former type. I'm wanting to see the possible Genetiker's ADMIXTURE for some of the special cases here on the Beakers. He released a K14 of Southeastern Europe already, and it seems that the Anatolia_ChL/Minoan/Greek_Peloponnese wave reached all the way up to Romania in the Neolithic. 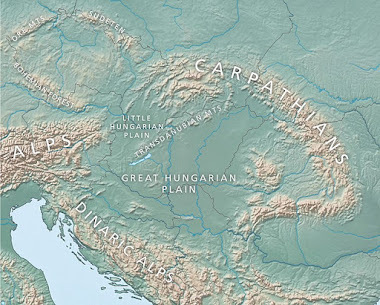 They might or might not have influenced Hungary and even the Westernmost Yamnaya. I think that I'm either missing something obvious you guys here already know or this issue in particular is being dangerously neglected? We have a Bulgaria_N sample with loads of CHG (~22,5%). This might as well be bad sampling too, as there's a lot of noise in these Neolithic samples. Why is the Narva_Lithuania not significantly more in CWC_Baltic than in Beaker_Hungary ? I ran your model for Rise98, the earliest R1b-U106 we have at the moment. Interesting results, could Rise98 be some sort of CWC/BBC mix? Notice the new Hungarian R1b-L11 sample, I7043, from the Proto-Nagyrev culture, which was the transition phase between Vucedol and its offshoot, Nagyrev? It's not a smoking gun, but it tends in the direction of Gimbutas' idea that Bell Beaker was the result of the amalgam of Vucedol and Yamnaya in the Carpathian basin. R1b and R1a were both present in Corded Ware, and Beaker is a population derived from Corded Ware mixed with Globular Amophora. Seems like the most simple explanation. The problem with that is that we really don't have a single solid R1b in Corded Ware yet. The only one that has not been completely shot down in flames is RISE1, but, as I understand it, RISE1 is a poor sample, and its result is iffy at best. This is great. CWC affinities makes a lot of sense. If you draw a line between Kiev and Kujawy you have these Hunter ancestry (ukraine or Narva-like) within 500 mi of first or second phase of CW. Interesting that Koros is not in any Beaker group other than the outlier. I'd be curious to know if this holds for the other two Z2103's. I think something might need to be added to Blatterhohle since it's a proxy for such a large area. Are there any late WHG that are differentiated enough, like British Mesolithic or Iron gates? Reason why I ask is Hungary no steppe is difficult to understand and with no Koros? One thing to keep in mind is that this sort of ultra fine scale analysis might be wobbly for some individuals. In other words, the more samples, the more stable the results, because I really am splitting hairs here. The difference, say, between Blatterhole_HG and Koros_HG as references is almost nothing, and it might be useful to dump Koros_HG from this analysis. I've removed both of your posts because it's very difficult to understand what you're trying to say. Next time you post, please make at attempt to communicate your ideas in a more logical and succinct way. And don't post a reply to this comment complaining about my decision, because I will remove it. You should install R and try running tests like this on the Beakers. You might discover something we're all missing. Thanks, I'll give it shot tomorrow. "Notice the new Hungarian R1b-L11 sample, I7043, from the Proto-Nagyrev culture, which was the transition phase between Vucedol and its offshoot, Nagyrev? " Good eye, I didn't notice that. And he's negative for both P312 & U106 so a L151*. Not likely to be explained by admixture with eastern Beaker folk who overwelhmingly belonged to U152>L2 not L151*. "It's not a smoking gun, but it tends in the direction of Gimbutas' idea that Bell Beaker was the result of the amalgam of Vucedol and Yamnaya in the Carpathian basin." That has always made the most sense to me as well. R1b Z2103 and R1b L151, though in separate communities, must have migrated with each other into central Europe from Yamnaya. Here's what I7043 scores in Global 25 scaled...Not 75% Yamnaya like the Hungarian Beaker but still evidence L151 moved up along the Carpthian Basin. I did some work based on the idea that a population near the northern Black sea began to move in multiple directions somewhere around 5500 BCE. This putative population was pre-yamnaya--high in CHG but not having yet mixed with EHG to make the classical Steppe population. We have one wave moving into the Steppe and one wave moving into the South. So we could have connected and expanding populations mixing with local populations as they move across the med. Assuming the putative precursor population has a form of IE language. We could see one lineage of IE (sans EHG) move across Southern Europe ~1-2K years prior to Steppe/Yamanaya bringing in IE as well. So two lines bringing in IE. A possibility, maybe. I'd draw your attention to the ratio of Blatterhole to Barcin ancestry in the canonical "late (post-steppe) Beakers" in NW Europe. That's more a higher Blatterhole ratio than any of the pre-steppe Beakers have. It best matches CWC_Germany though. So the same pre-steppe substrate in CWC_Germany is in the post-steppe Beakers I guess? Maybe that's not that surprising. I thought it worth pointing out. That's a lot of WHG too. I hope when searching for the Yamnaya ground zero you keep in mind the possibility that R1b-L51 could (not necessarily did but could) have come from that Blatterhole (or at least WHG) ancestry. As could Z2103 in your Ukraine outlier. "Interesting results, could Rise98 be some sort of CWC/BBC mix?" Something along those lines is not impossible, he lived (or at least died) in what had recently been Battle Axe territory, and the grave field seems to have some continuity from BAC to "anonymous LN" times. But keep in mind that BBC proper never made its way to Sweden, and while RISE98's grave doesn't look BAC/CWC, it doesn't exactly scream BBC either. If the EEF in Beakers didn't originate in Iberia but rather in Central Europe then why did they adopt the Beaker culture at all? Or is it the case that the Beaker material culture actually originated in Central Europe, but if that is the case then how are these unadmixed beaker farmers explained? There are at least two major problems with your model. Hence, there was no massive expansion of CHG-rich but EHG-lacking early Indo-Europeans before the steppe expansions that created the Beakers. At best, the Proto-Indo-Europeans were a CHG-rich people from the Caucasus who moved only into the steppe and initiated the Late Proto-Indo-European expansions via Corded Ware and Yamnaya. Did Beaker originate through trade between Beaker Hungary_no_Steppe and a population who lived somewhere between Narva and Koros with Heavy Yamnaya like ancestry ? Did the Corded Ware expansion maybe push this population Southwards into Hungary and cause a Proto-Beaker(Remedello ?) population to migrate to Iberia ? Pan z Ukrainy Z2103 to linia R1b-L277. Ta linia niema nic wspólnego ze stepem. You are forgetting that the expansion of a population rich in CHG is not connected to IE population. Minoan and Anatolian samples are the result of this expansion, but are not connected to IE cultures. We know enough of Minoan to know it was not an IE language, neither is Hattic. Moreover LN and EBA in Anatolian through BA did have completely different burials traditions than Hittites and other attested IE did have. So hypothesis of a 2 waves of IE mediated by a CHG population is simply extremely unlikely, both genetically and archeologically. Please remember that IE speakers are only attested in Anatolia from the beginning of the IId millennium BC, and all languages of the Anatolian branch did have an Hattic substrat (different for each of them). Meaning IE were relative recent intruders in Anatolia. Freu, a worldwide Hittites specialist, is backing an arrrival of the IE in the late IIId millennium, between 2500BC and 2000BC. Cant Ukraine outlier can be modeled with no Yamnaya also? How about, this branch can it be model with no Yamnaya? R-PF331FGC35088 * PF331formed 5700 ybp, TMRCA 5200 ybpinfo? It's interesting to see a lot of Middle Neolithic continuation in the Corded Ware horizon. Netherlands has TRB continuing at least 2 centuries well into Corded Ware era as well as Vlaardingen culture lating up to BB. There is continuity if TRB in Sachsen. Also in Poland we can find TRB continuity up until 2600 BC. Not Sure how you get the southern expansion was male and not female. I can see the importance of that position based on Y chromosome--but that may not be a language thing. Mother's can strongly influence languages being spoken. We have mixing of CHG populations into Krepost(Bulgaria) and the Peloponnese (Greece) people. This happened at around 7.3-7.9 yBA or around 5500 BCE. This introgression was NOT steppe related. Several thousand years later we have CHG (non-steppe) ending up in Anatolia_BA-~4.5kya (I need to use Peloponnese and/or Krepost in my Anatolia_BA qpAdm analysis). Maybe from Iran_N which gives pretty decent modeling from qpAdm. CHG and Armenia_ChL fit though not as well. Near this same period we have CHG (non-steppe) moving into Minoan people. Maybe direct, maybe via Anatolia migration (again around 4-5 kya). The model for Minoan_L fits pretty well with a mixture of Anatolia_BA and WHG. Could probably improve the model by using a different HG source or maybe the Peloponnese instead of Anatolia_BA. But the Beaker populations of both Northern Italy and Sicily both model very well with Minoan_L + Villabruna or WHG. The standard error for Beaker_Sicily is really bad so I need to work on that group a bit. However, while high, the SE for Beaker_North_Italy is not that bad. Did not villabruna have R1b? Could R1b be have been picked up in italy? A genuine question I do not know which R1b was with Villabruna. One of the Norther_Italian group has R1b so I may exclude that one from the analysis. When getting into Iberia, I will redo the analysis and peal apart the various Iberia Beakers. I will set up a group as Iberia_Beaker_S (I0257, I0261, I6472, I5665, I6539) and Iberia_Beaker_NS (all others) and redo the analysis. But when analysed as a whole group, the model strongly suggests a connection to Northern_Italy. Also still see strong link to Minoan_L. There is a very large consensus about the fact that Minoan was not an IE language. Linear B is obviiusly related to Linear A since it was the adaptation made by Mycenaean to write an old form of Greek. You must understand that if Minoean was an IE language, it would have been decyphered long ago. All IE languages are sharing specificieties which should be found in Minoean if it was an IE language. It is not the case. Moreover, you are forgetting all other populations with a high level of CHG admixture but non IE. ''Something along those lines is not impossible, he lived (or at least died) in what had recently been Battle Axe territory, and the grave field seems to have some continuity from BAC to "anonymous LN" times. Personally, I do not favor the BBC/CWC explanation. Do you know if there is evidence for a new people arriving after BAC or even in the early Bronze Age in this area? And who are the candidates for this new ''anonymous LN population''? Unetice influences on incipient Nordic Bronze Age ? (That could be the common link for the 2 U1o6s). Would Minoan be translated? Are you sure? Not much of it remains. So that in of itself makes it hard to translate. But I am not a linguist in any form. I can barely read and write English much less any other language. Assuming that all IE expanded from the steppes(some doubts about Greek already noted) except Anatolian would mean Anatolian came from the Caucasus, and you have this CHG admixture on the steppe as well from the same area before the steppe expansions.You have a situation where PIE could have from there but the steppe people did the migrating and conquering. The fact that non IE people already had lots of CHG doesn't mean subsequent migrations had to speak the same language group, the Caucasus area had a lot of linguistic diversity.If no yhaplogroups involved in the steppe expansions are found there are as many assume I don't know how you sort it all out. I am not a linguist, but I read enough things on the subject, and know enough different languages to understand why even if you don't understand what is written, you can find some structures and repetitions. And then, find some proximity with one or several languages. Owens has probably done a great work, but specialists are remaining unconvinced. And, from what I read, for good reasons. He is making many unverifiable assumptions, hence his conclusions remain unprovable. To date, Linear A is remaining undecyphered, even if many propositions have been made. Due to the lack of material, but also because the language itself is unknown. But it is an agglutinative language, so this is excluding by itself an IE language (only Armenian is agglutinative in the IE family, and became so in the last 2500 years). To date, all IE expanded from the Pontic Steppe. Mycenaean (Greek) included, and in all probabilities also the Anatolian branch (and in all likehood from the Balkans, both because the route is simplier and because of the lack of Caucasian influence on the languages). Then again, CHG is found everywhere around the Caucasus, with no automatic correlation with IE. They said in the paper Greek came from the steppe? I guess I missed that part.We've been through this before, it would be great to see a lot of R1A in future samples so let's see wait and see. If Anatolian did not come from the PC steppe then it came from the Caucasus, and there is CHG in the steppe before the expansions began.Seems to me like there's a link there, unless you want to say Anatolian is not IE. Of course if Hittites have a lot of steppe it would be great. I've been running some models for Bell Beakers to see if I could discern some pattern. The idea was to use just MN to ChL European populations from one side and Yamnaya/Ukraine_Eneolithic from the other. For sources I used population averages (except for Ukraine Eneolithic, where I used the 4 individuals since they're a bit different). Then I included a few more samples: 3 WHGs (Koros_HG, Blatterhole_HG and Rochedane) to account for any extra HG that wouldn't force the choice of Neolithic sources based on having more HG admixture, and Anatolia_ChL/Armenia_ChL for the ones who might need it (Sicilian, for example). For what I could see, there's a lot of Iberia in the non-steppe side of the Beakers. Most Iberian ones (with steppe admixture) look like a straight Yamnaya/Ukraine_Eneolithic and Iberian MN-ChL mix. I don't know why this strong affinity (though in other Beakers the results are much more mixed, obviously). By the way, one Iberian BB marked as no_steppe does have some 10% Yamnaya admixture it seems (I4229). And I0459 shows some 5% Ukraine_Eneolithic. We should also not forget that Ukraine_Eneolithic itself has a good amount of Europe_Neolithic admixture (30-40% depending on the individual). I included also a run for those 4 individuals with the ahistorical Yamnaya as source, just to get an idea about how they are (and by the way, the Z2103 sample I5884 does show a small amount of Yamnaya, probably from a Yamnaya great grandfather or something). Then I went on to try CWC_Germany and Unetice to see differences. CWC_Germany is quite more consistently eastern European in its picks (Globular Amphora, mostly), while Unetice is more mixed (some Iberian there too). And then I went on with a few other Bronze Age European populations (Hungary_BA, England_MBA) and even Sintashta/Srubnaya to see if "Iberian" showed up there too. It does in Sintashta, less so in Srubnaya. So quality issues might be playing a role here too. And to finish, also Mycenaean and Minoan, in less realistic models without European EBA populations (especially from the Balkans) but somehow keeping it more clear (the genetic structure). Though I had to include Armenia_EBA and Anatolia_BA to have decent references there. So take it or leave it. No claims at all based on these models. Just playing around to see what shows up. And sharing the results. If we're to take the most common forms of the Kurgan PIE theory literary, then only the early Hittite elites should have a lot of steppe ancestry. Same goes for the Mycenaeans. I'm pretty sure that they will. By the way, the word from the Russians who are looking at the latest Y-chromosomes from the steppe is that the Alexandria R1a-M417 is actually Z645+ and pre-L657, so this could mean that it's ancestral to much of South Asian R1a, which is R1a-Z93 (L657+), especially in India. "If we're to take the most common forms of the Kurgan PIE theory literary, then only the early Hittite elites should have a lot of steppe ancestry. Same goes for the Mycenaeans." How do you see that playing out ? The amount of steppe ancestry in the 4 so far is pretty low. Looking at the R1b Vucedol -steppe guy (who wasn't any kind of elite person, judging by his burial, btw); he has something like 40% steppe ancestry; by contrast the 3 Myceneans have ~ 10%, and one has zero. So if they had just arrived from a steppe homeland, whether Sintashta or CWC or even BB, they should have a lot more than 7%. So your scenario must envisage a very late entry and some kind of apartheid system being in place. Have to say, it's looking unlikely. Cutting the estimates of steppe admixture in the Mycenaeans by a few per cent doesn't change the overall picture that is emerging from the ancient DNA in the Balkans. During the Bronze Age there was a rather sudden and unambiguous pulse of admixture into the Balkans from the steppe, and soon after the Mycenaeans and other Indo-European-speaking groups appeared in the region. It's very difficult not to notice this in the data and not to form the logical conclusions from it. Next year, or even next month for all we know, many more Bronze Age Greek genomes will be published, and the realistic expectation based on all the data to date is that at least some, and maybe quite a few, will show heavy steppe admixture, and then these sorts of debates will look like a waste of time. I am not sure to understand you. We already have some Mycenaean genomes, and they've got minor steppic admixture (contrary to Minoan). I don't see why R1a should be especially relevant. R1b or I2a would be equally relevant (or any other haplogroup which could be found in the core population with more sampling). Concerning Anatolia proper, we don't have any sample from where we can guess that IE were present at the time. It is interesting by itself, as the theory formulated some years ago postulating an early arrival in Anatolia (perhaps around 4000 BC), and a wide era of IE languages in Anatolia, has been disproved. So we are back 20 years ago with a later arrival in the IIId millenium BC (not contradictory to an early separation from the PIE core). As I said in another post, there is a good candidate for the anatolian branch, with the Yamnaya from Bulgaria and Thrace. But future will tell if I'm right. Anyway, there is no reason to postulate another origin for the Anatolian branch than the Pontic Steppe. But, even if it's very interesting to discuss (again) about the Anatolian branch and CHG, this is not the subject here. So, what I find extremely interesting is the high possibility that if BBs could have came from the same original population than CW, it seems they were a second wave, as they don't share the same admixture. Another point is about the lack of Balkans admixture, which I find strange if they took their Steppe component from the Hungarian Yamnaya (because, perhaps wrongly, I think those Yamnaya have followed a route through the Iron Gates, and must have taken some local admixture in the process, with probably some Anatolia_ChL). So, I'm tempted to consider a route through South Poland to Central Europe, from a population very similar to the Yamnaya Samara, and admixture in situ, hence the level of Blatterhole. But at this point, I don't see how improving the analysis without more samples from the missing zones (primarly Hungarian kurgans). I don't agree with your interpretation of the data in this case, and I have no doubt that you're setting yourself up for a huge disappointment once a lot more of the relevant data come in. Can't add anything to this right now. Btw your suggestions that I somehow undercut steppe admixture are laughable and seem desperate . The set up is transparent - set up a source list of c.2500 BC populations - out some MBA steppe, B.B. Central, Anatolia BA, and model each of the Myceneans with it . .
Off topic here, but this might be important. WHG is significantly Magdalenian admixed, even in Italy. Possibly in the 31-38% range. I will see about posting some stuff here this evening or tomorrow. Out of the 3 theories about the WHG (Siberian, Anatolian and Autochthonous), the continuity seemed to be the stronger, as we see WHG components in the ADMIXTURE graphs of UP Europeans, and haplogroups (Vestonice has one IJK and the Magdalenians a HIJK, which means, probably from where "I" came from, as K had already diverged long ago). So, those WHG components in them might be a signal of formation that they would become WHG. Or are you better suggesting that WHG encountered Magdalenians in the past and just mixed normally? It may be good and all, but it simply doesn't explain the rest of the story. Have Reich and co. already dismissed the possibility of continuity? In my larger tree, there is continuity for the most part. There was mixing w/ ANE+ENA, and that group going into West Asia, mixing with farmers. That group expanded out of the Balkans and mixed with Magdalenians, who appear to branch apart from WHG after Vestonice. The western group pick up minor Goyet related ancestry in the process. That's just what I'm seeing on the graphs. WHG and ElMiron are very much, closely related. Ill see about posting tomorrow if time allows. I've found something else I want to check. Related to Chad's findings, Kale over at Anthrogenica had an interesting point recently; Why do Euro_EN plot way under the line Anatolia_N-WHG on PCA (e.g Lazaridis 2016)? Everything else on those PCA make perfect sense. Because Anatolia N isn't directly ancestral to EEF. A less Iranian shifted pop is. Easy to see on a simple graph. Here, you guys can look this over. I will be going back to double check stuff and re-analyze this minus the Italian and Croatian stuff.This is essentially what I sent Reich and Lazaridis. If you guys notice any discrepancies, let me know. Thanks! I know the Z is not large, but the SNP count is not great, as far as working with ElMiron. So, if we had something around 400-500K markers, I am certain this would put the Z closer to -9 or -10. That is more normal for an f3 of -0.007, as far as what I’ve seen. So, I went and also performed some f4 ratio, qpAdm and qpGraph runs to check this. I’ve also broken that down into three sections if you’re unable to really zoom in. I’m sure you’ve notice, I could’ve put a couple more Neanderthal admixture lines and made it better. There is also that ghost population which is close to Vanuatu, that is needed in both WHG and ElMiron. I think that the fact that this is shared is more backing to what I am finding with a larger tree involving GoyetQ116-1, and Vestonice16. It appears that Goyet branches first, then a Northern branch + ENA to MA1. Next is Vestonice16. After this, ElMiron and UHG split, with ElMiron getting 12% admixture from a GoyetQ-related population. Everything else stays pretty similar, with EHG being UHG + MA1 + ENA + Basal (probably CHG). This is all pretty consistent through all runs. Also, Goyet being closer to Asians and Ust-Ishim than Kostenki, Vestonice, and closer to Ust_Ishim for ElMiron and WHG, has me wondering about the Gravettian and Ahmarian possibly involving some Basal Eurasian swapping. Or even a pop related to that one mixing into Iran N, with extra ENA over ANE, plus Basal Eurasian picked up in West Asia coming in for WHG and ElMiron, after Vestonice16. If you guys are interested, I can give you my full tree of European hunters. It is very interesting, and I think very solid. Also, the Villabruna thing seems legit. I double checked some D-stats to make sure. So, everything seems to check out here. I hope that this is useful and not too much of a mess. I can try and add or removing anything you guys like to try and make this look cleaner. Also, removing the Croatian and Italian hunter does change things up. The “WHG” group becomes even more Magdalenian. Villabruna becomes closer to EHG and MA1 than this group, and further from ElMiron. Thanks for your time guys! I’ll get you the new look after doing some more checking with the other WHG samples, minus Italy and Croatia. How would you place Natufians in that scheme of things? Anatolian has a pretty big affinity for Iron_Gates over WHG, but Natufian hasn't. However the Middle-Eastern affinity in the Villabruna cluster (and also in El Miron) that Mrs. Fu proved by D-stats with Iraqi_Jew as proxy can be proved with Anatolian as well as Natufian, but not with Iran_N. An arrival of the IE speakers in Anatolia in the IIId millenium is the consensus among French and German hittitologists. If you don't know who is Jacques Freu, you should perhaps read some publications about Hittites and Bronze Age Anatolia. By the way, 1/4 of the references in litterature in the english wikipedia page on Hittites are made of "Jacques Freu and Michel Mazoyer". Jacques Freu is an historian, not a linguist, and a worldwide reference on Anatolia and Hittites. He is often cited as a source by Trevor Bryce. "L’origine des Hittites reste un problème controversé. C.Renfrew et d’autres admettent leur autochtonie, ce qui ferait de l’Asie mineure et du Proche Orient le berceau et le centre de dispersion des Indo-Européens, thèse très improbable pour ne pas dire paradoxale. La plupart des spécialistes estiment, à juste titre, qu’ils ont été des envahisseurs et qu’ils se sont installés en Cappadoce, soit par conquête, soit par une lente infiltration, au cours du 3ème millénaire avant notre ère." "Il est probable que les Anatoliens de langue indo-européenne sont arrivés en Anatolie encore indistincts, venant des Balkans. Leur origine lointaine se situait dans les steppes s’étendant du Dniepr à la Volga (les steppes pontiques)." "The origin of the Hittites remains a controversial problem." C. Renfrew and others admit their autochthony, which would make Asia Minor and the Middle East the cradle and center of dispersion of the Indo-Europeans, a very unlikely thesis for not to say paradoxical, most scholars rightly believe that they were invaders and settled in Cappadocia, either by conquest or by slow infiltration, during the 3rd millennium BC . " "It is likely that the Indo-European Anatolians arrived in Anatolia still indistinct, coming from the Balkans.Their distant origin was in the steppes stretching from the Dnieper to the Volga (the Pontic Steppes)." Thanks for the summary ! It seems Freu isn’t very familiar with Anatolia, then"
Just a worldwide specialist on the subject. Strangely unknown to you. They said more than what is quoted. They said that the farmer ancestry in the british beakers resembles polish and swedish farmers more than hungarian (i think) farmers. They also said that this doesnt mean their farmer ancestry came from poland or sweden. No CHG enriched second wave Anatolian influence at this time and place! So this means that my Italian ancestry from Cesena is essentially just a mix of Steppe, WHG and Anatolia_EN with the addition of some considerable Levantine and North African admixture, but without any Anatolia_ChL / Anatolia_BA (apart from what was in the Levant). I think that's an unusual mix for Italy on the whole; but at least it seems to occur in parts of Northern Italy. For example I refer to the current state of the art from archaeologists & paleoclimatologist in the field as well as aDNA to date. Looks at the very subject you 3rd century crisis and concludes there is no sign on external migrations because of the material culture pre & post destruction is the same, concluding the strifes reflect local competition over resources and coercion/ state building. 2) the previously noted Heyd article which outlines the migration from Anatolia to Thrace 2016. 3) A movement from Anatolia to Greece at same time in "The Aegean before and after 2200 BC.." Rahmstorf 2015. North Africa during the ‘long’ 4th millennium BC: A comparative study of environmental and archaeological evidence." - 2016. So Anatolia seems to have had the profound changes in mid M5 with migrations from the East which also made it to Greece, Sicily and Thrace, as well as possible late Chalcolithic movements from the Balkans. Nothing in the materials you posted as anything to do with the origin of the IE Anatolian. Moreover, no sites from North Western Anatolia have searched, so you are just confirming what we already know: IE speakers are intrusive in Anatolia. It doesn't seem that big but I3313 might have a little something in it? It prefers Yamnaya_Bulgaria to Samara and gets a slight separate Iran/Caucasus-centered orange slice in the unsupervised ADMIXTURE K7 run in Mathieson et al. By Croatia_(E)MBA I assume you mean I4331-I4332? I4331 seems to also get a very tiny orange slice and some Yamnaya_Bulgaria. I4332 none and none. It's subtle but there could be something of that sort in 2 of the 3, leaving aside proper refs etc. From what I've seen, Emilia-Romagna sometimes has some sort of "Balkan shift" compared to the rest of Northern Italy so I'de be a bit surprised if you found Levant/North African-related stuff but no separate Caucasus. Maybe some of your refs are eating it up, per above? Btw Kumtepe is in NW Anatolia. You really should stick to philosophy old mate and stop presenting false theories. Kumtepe (Troy), is in the North of Western Anatolia, but if identified with "Wilusa", it was a small kingdom conquered by Hittites during the Old Kingdom. So no part of the original land controlled by any of the 3 identified IE populations (Hittites, Palians and Luwians). Mind that even the kingdom of Arzawa (controlled by Luwians) is no more considered by scholars as fully Luwian, but instead with only a Luwian elite. Kumtepe could be connected to EBA cultural traits found around 2000 BC in Thrace or Barcin Hoyuk (so connected to the westward expansion from a CHG-rich population in the IIId millenium BC). When I say "North Western Anatolia" it's the Western part of North Anatolia bordering the Black Sea. The Antic Bithynia and Paphlagonia. You’ve brought nothing to back your claims apart from a newspaper interview . You’ve been unable to answer simple questions to defend your premise (1) where are the Yamnaya tumuli in Anatolia (2) why is there genetic and archeological evidence of movement into Anatolia 2 Millenia earlier . ? Two separate migrations is exactly what is predicted by the mediterranean hypothesis of an early migration south, then west, then north, then back east. Even if it could be fun to watch somebody drowning, I'll let you doing so alone. Try to read the refererences I posted several times about burials distribution in Anatolia, history of the Hittites or of Hattic (just to name the last). Good points. Thanks for the hint! Yes, in that case I still do have some Anatolia_Chl other than what's from the Levant. Makes sense given my partly Italian ancestry. Though the ratio Anatolia/Levant is still relatively low in my case. Yes, by Croatia_MBA I meant I4331 and I4332, their dates are clearly MBA, though they're labelled as Croatia_EMBA in the paper. I think in my case they represent the influence of the late Chalcolithic Cetina culture upon the Adriatic coast of central Italy. This occured before the Bronze Age proper started. It's unknown what this influence was like ethnically, but it may have been the source of the Italic languages. While the much later I3313 may represent the Liburnian admixture that's also archaeologically well attested, e.g. in Novilara. To me it looks as though the Anatolia_Chl-related admixture in northern Italy mostly goes back to the Roman era, and most of all to Romans from the more southern parts of the peninsula.